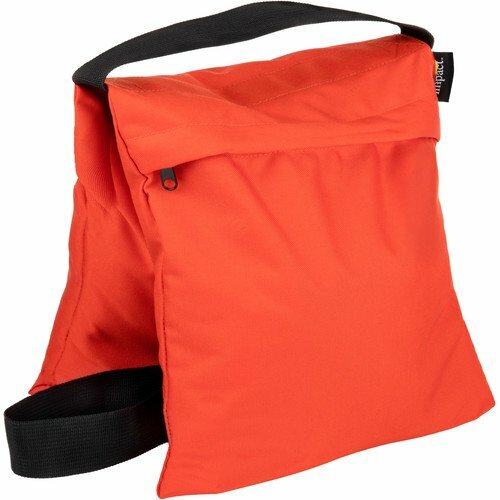 Made of thick, orange weather and water-resistant Cordura nylon, the 25 lb Impact Saddle Sandbag is a staple in studios or on location for stabilizing light stands, booms, tripods, and backgrounds. The bag features rugged and durable assembly throughout. A double-zipper design is employed to safely contain its sand and allow its removal if necessary, as well as a webbed handle for hanging or moving. Dimensions: L x W: 25 x 11' (63.5 x 28.0 cm), approx.